The counting of votes for the keenly contested Karnataka Assembly elections 2018 has begun and initial trends/results have started pouring in on Tuesday, May 15, 2018. Here are the latest updates for Nagthan, Indi, Sindgi, Afzalpur, Jevargi, Shorapur, Shahapur, Yadgir, Gurmitkal, Chittapur, Sedam, Chincholi, Gulbarga Rural, Gulbarga Dakshin, Gulbarga Uttar assembly constituencies. Here are the latest updates for Nagthan, Indi, Sindgi, Afzalpur, Jevargi, Shorapur, Shahapur, Yadgir, Gurmitkal, Chittapur, Sedam, Chincholi, Gulbarga Rural, Gulbarga Dakshin and Gulbarga Uttar assembly constituencies. Out of 225 Karnataka Assembly segments, 222 went to the polls on May 12. The election in Raja Rajeshwari Nagar seat was delayed to May 28 due to the recovery of a large number of voter ID cards. The election in Jayanagar segment was countermanded in the wake of the demise of BJP candidate BN Vijaya Kumar on May 4. The Karnataka election results 2018 are significant for the ruling Congress as well as the Bharatiya Janata Party. At present, the majority mark is 112 as results will be declared for only 222 seats. While Karnataka Assembly has 225 seats, voting takes place for 224 constituencies as one is a nominated member from the Anglo-Indian community. A total of 2,655 candidates are in the fray for the 224 seats in Karnataka Assembly. 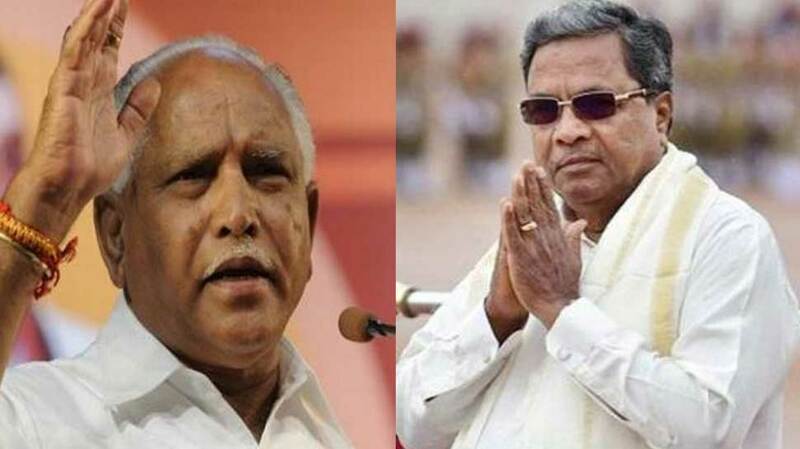 Among the candidates are four sitting and former chief ministers - the current CM Siddaramaiah, former BJP chief ministers BS Yeddyurappa and Jagdish Shettar, and JDS leader HD Kumaraswamy. There are 219 women, too, among the aspirants. While the BJP is contesting in all 224 seats, the Congress put up candidates in 222 and the JDS in 201 seats. According to the state Chief Electoral Officer Sanjeev Kumar 72.13 percent voters came out to exercise their franchise which is the highest in the Karnataka Assembly elections since the 1952 state polls. Karnataka Chief Minister Siddaramaiah reportedly trailing by over 11,000 votes in Chamundeshwari, as per latest trends. Trends available for 208 out of 222 Assembly seats in Karnataka - The BJP remains ahead with leads on 93 seats and the Congress is leading on 88 seats. If the trend continues, the JDS will emerge as the kingmaker as it is currently maintaining leads on 26 seats. Here are the official trends from the EC: BJP leading on 10 seats, Congress leading on 5 seats, JDS on 1 and others on 1. Here the visuals of the havan performed by Congress workers outside AICC office in Delhi, ahead of counting of votes for Karnataka Elections 2018. The Congress is ahead on 40 seats while the BJP maintaining its lead on 36 seats, as per the available tends for 90 seats. Karnataka Chief Minister Siddaramaiah is trailing from both Chamundeshwari and Badami seats, as of now. Trends coming in from 72 seats show Congress leading on 33 seats while BJP is a close second with leads on 28 seats. The JDS is leading on 10 seats. According to trends coming in from 36 seats, the ruling Congress is leading on 25 seats while the BJP and JDS are locked in a neck-and-neck fight with leads on six and five seats respectively. Counting of votes has begun at 38 centres across Karnataka. Trends/Results have started pouring in.